I love Heavy Planet... why you ask? Because I have the perks of getting emails from excellent bands, I would have had no idea existed, like Gandhi's Gunn, part of todays Double Dose. Then, to top it off, I get to share the tunes with all of you! 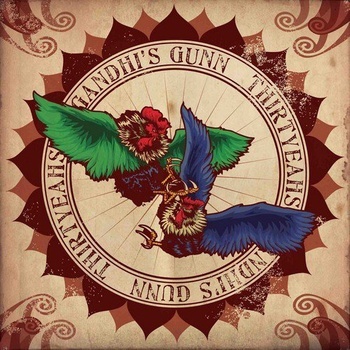 Gandhi's Gunn are an heavy stoner metal quartet, headquartered in Genoa, Italy. Finding tremendous inspiration from early stoner rock, Gandhi's Gunn sealed their sound by venturing into 'more visionary and psychedelic territories'. Propelling forth truly bold riffs and one of the most robust voices in modern metal, the foursome have devised a concept worth more than just a listen. Thirtyeahs is their first full length album, released back in 2010. Now, before I'm attacked for 'old news' and 'repost', I thought it was important to bring Gandhi's Gunn into the spot-light here at Heavy Planet to announce their forth-coming album. At this time the album is untitled and due late this spring. In the mean-time, take a listen to what quickly became my favorite track, Club Silencio. Whose Hungary for fuzz?! Our second serving of today's dose, Head For The Sun, comes all the way from Budapest, Hungary. 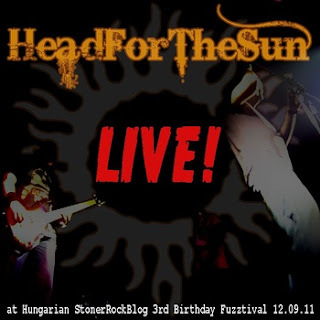 Head For The Sun, are technically in their infant phase, with a birth-date of October 2011. Don't be fooled by their youth, Head For The Sun know exactly what the almighty riff is and just how fuzzy we like it. Professor of Fuzzometry, Mr. Rico RokkaRolla is the songwriter and fellow stoner blogger over at stoner.blog.hu. Be sure to check out their live EP at bandcamp. While you're there, you might as well download the entire EP... its FREE!